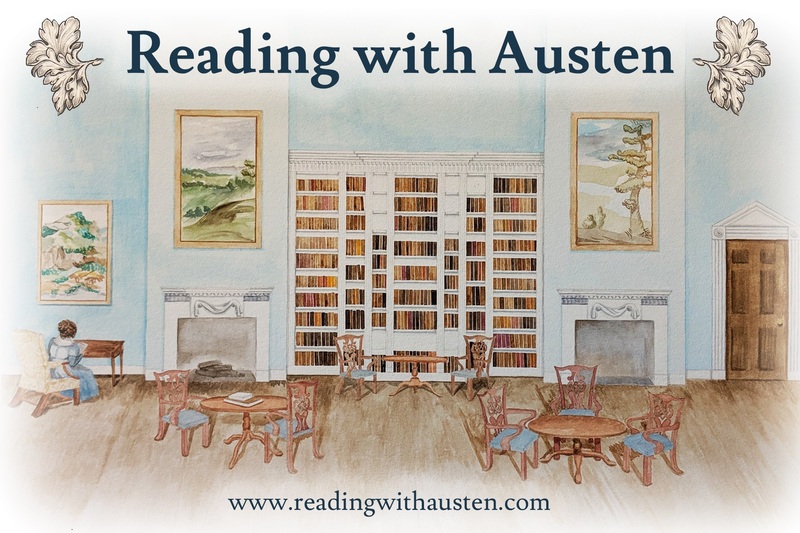 In need of a summer Regency Ball or a quiet Tea or how about a whole weekend listening to various talks about Jane Austen and her Times? 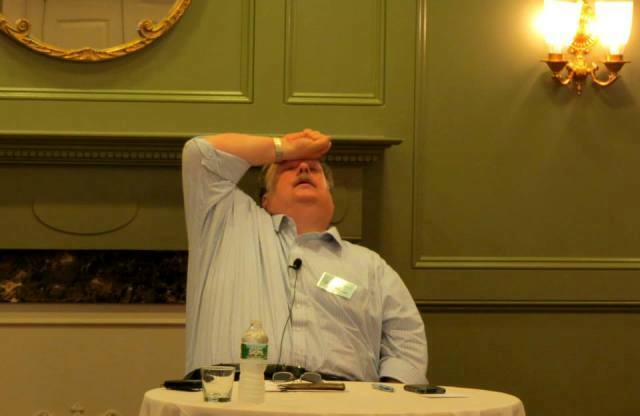 – well the summer of 2012 has much on offer! A previous post outlined the summer program at the University of North Carolina. 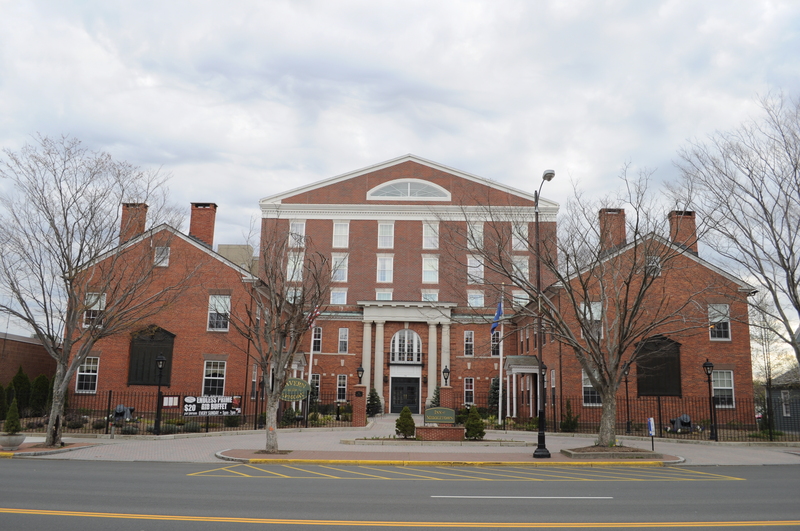 The historic Inn at Middletown, in Middletown, CT—built in 1810—is the setting for a weekend of learning about and practicing the activities that made up Jane Austen’s daily routine, and that of her contemporaries. 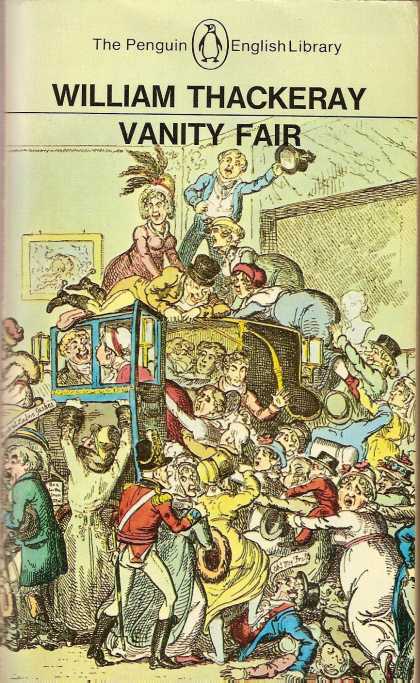 During the weekend of July 26 – 28, 2013, you’ll experience balls, parties, and promenades in Regency style, and write letters with a quill and ink, as Jane would have written her daily letters and her novels. 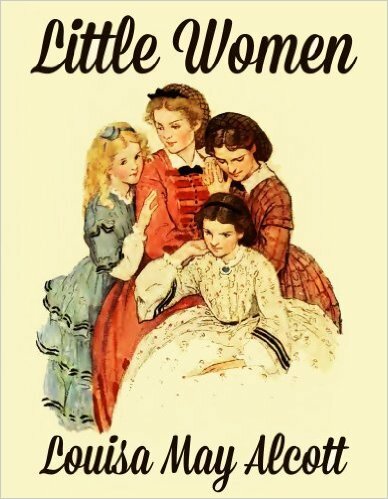 Ladies and gentlemen will learn how to draw silhouettes of family and friends, to dress their hair in true Regency fashion, and to sew pretty and useful accessories. 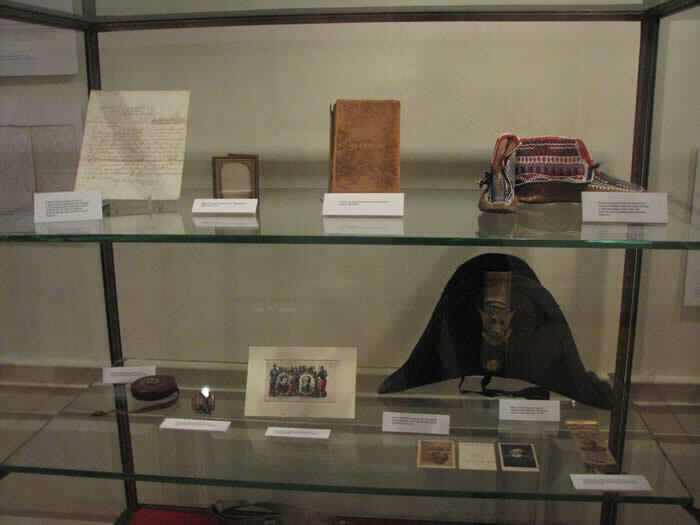 Plus, we’ll visit the Middlesex County Historical Society in its headquarters, the General Mansfield House. 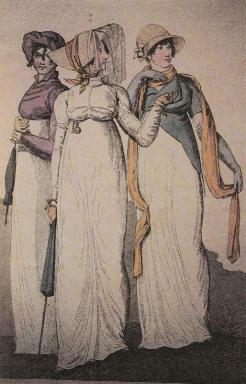 Period dress is encouraged and appreciated, but not required. 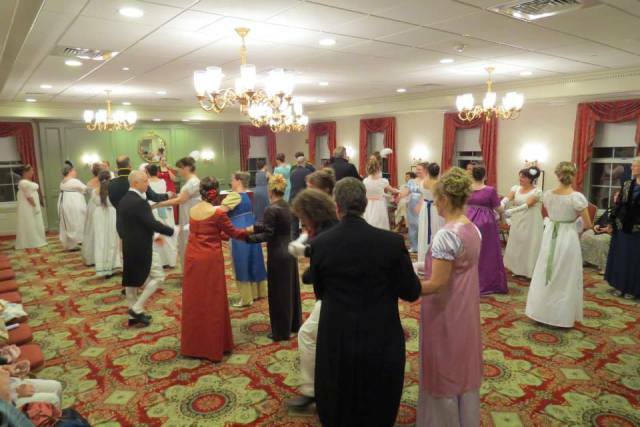 Throughout the weekend, Jane Austen scholars and experts on Regency life will speak on various topics, and local dance expert Susan de Guardiola will teach an English contra dance workshop Saturday evening and will call the dances at the ball that night. 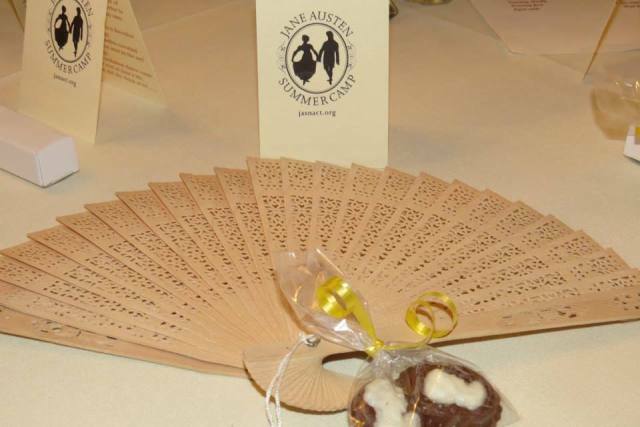 Join fellow Austen fans for a weekend of fun and “Random Acts of Regency Naughtiness” (the retreat’s theme), whether it’s dancing more than two dances with the same partner, enjoying one of the beverages created in honor of Austen’s 6 heroes, or besting everyone else in Friday night’s “Who Wants to Be a Duchess?” game. 3. Friday night reception, all meals Saturday including breakfast, lunch, tea, and dinner, and Sunday brunch. Can’t devote a whole weekend to Jane? – then beginning June 1, tickets will be available for Saturday’s events (rather than the complete weekend) until spaces are sold out. Ball-only tickets will be $30; tickets for the ball + dinner + afternoon dance lesson will be $70; and the Saturday-only tickets (breakfast not included) will be $165. 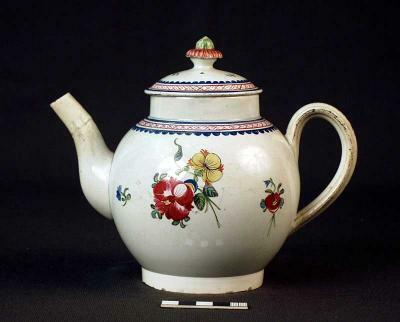 Saturday pass 9:30 a.m. to midnight (includes valet parking, workshops, lunch, tea, dance workshop, dinner, Regency food lecture, Regency ball): $165. 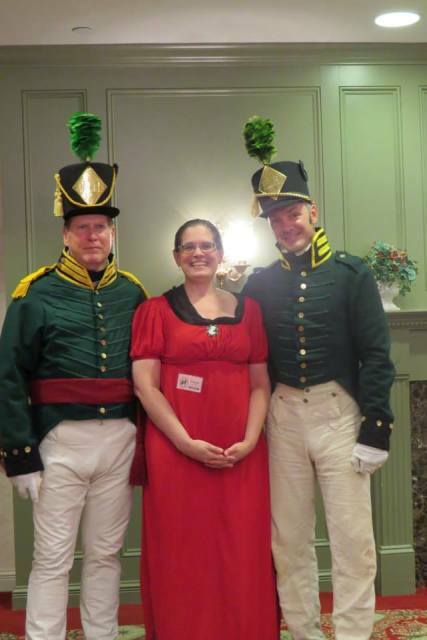 Saturday BALL PLUS pass 5:45 p.m. to midnight (includes valet parking, dance workshop, dinner, Regency food lecture, Regency ball): $70. Saturday BALL ONLY pass 9 p.m. to midnight (includes valet parking, Regency ball, dessert) – Cash bar available. $30. 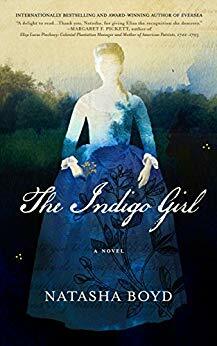 Sunday pass 9 a.m. to 4 p.m. (includes visit to Middlesex County historical society, brunch, keynote lecture, Sunday ice cream social and Austen movie): $65. 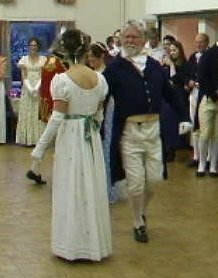 English Country Dance in Vermont ~ Put on Your Dancing Shoes! If you love English Country Dance, then Burlington Vermont is the place to be this summer! 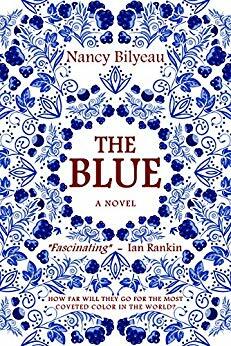 Do you enjoy 19th-century British literature? If you’ve ever read any of Jane Austen’s novels or seen any of the recent film adaptations, English country dance plays a prominent role in the culture of the time. The forerunner of American contra dance, English country dance is done in two facing lines (sometimes in squares, less often in circles) and requires no more than a knowledge of left from right and the ability and willingness to move to simply wonderful music. 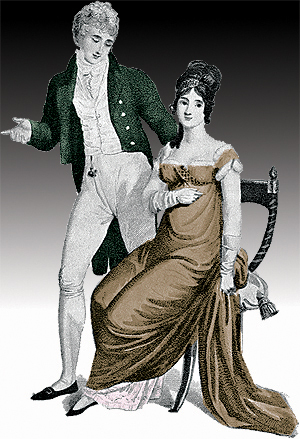 Through a combination of lecture (not much) and dance (as much as we can), you’ll learn the basics of the dance, gain an insider’s appreciation of the vital role it played in the lives of Austen’s characters, understand the etiquette and logistics underpinning Austen’s dance scenes–and have a great deal of fun in the process. You may come by yourself or as a couple! at the Charlotte Senior Center, Wednesdays from 4:30 to 6 pm, starting on July 22 and running for 5 weeks. It will be geared for beginners. Come with or without a partner. Cost is $45 and registration is required. Call 425-6345 to register. And the fabulous Burlington Country Dancers will be hosting their annual event next weekend! Visit their website for registration and contact information. 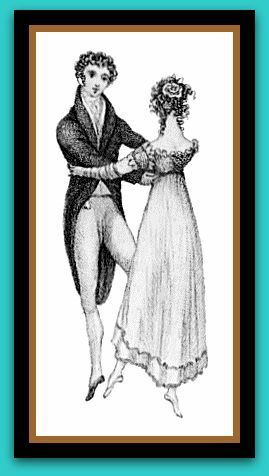 Regency Dancing was how young ladies and young gentlemen met and courted, and the dance floor was often the only place they could talk without being overheard by their chaperones. As was to be expected, the dancing was lively and flirtateous. The dancing needs to be accurate and elegant, but always remember that it is also about love and young people having fun. 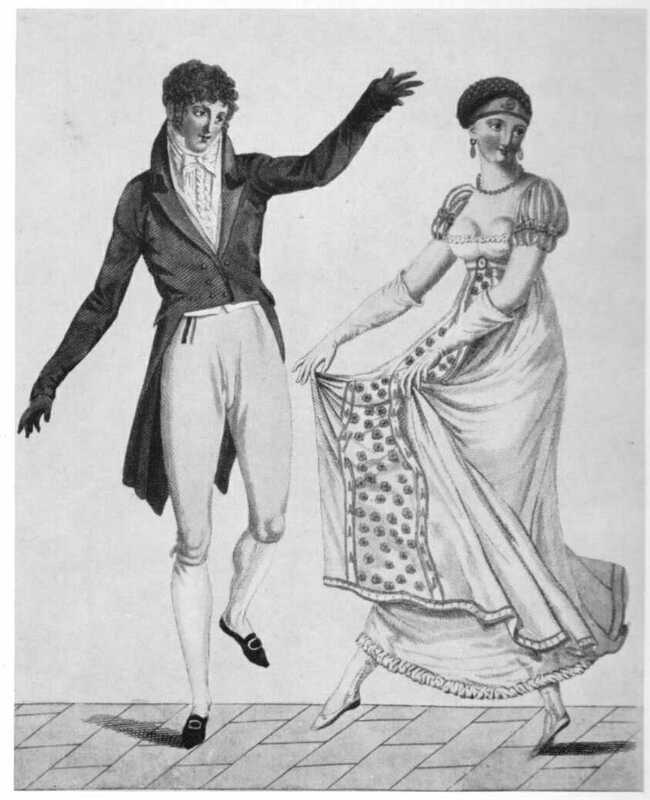 A lovely email from a Gentleman in England alerted me to this new website on Regency Dances [ http://RegencyDances.org ]. 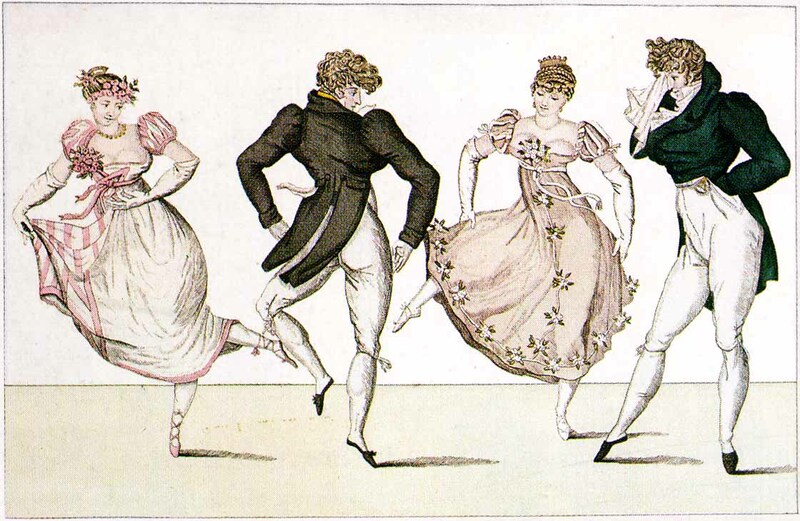 Launched in January, the site is a free learning resource for Regency Dances. As well as providing dance notations, the dances are shown as animations. This combination of watching the animation while following the notation has been found to be an excellent way of quickly understanding the structure of a dance. The dances are taken from original 18th -19th century sources and written into modern notation by experienced dancers under the watchful eye of a recognised international expert. 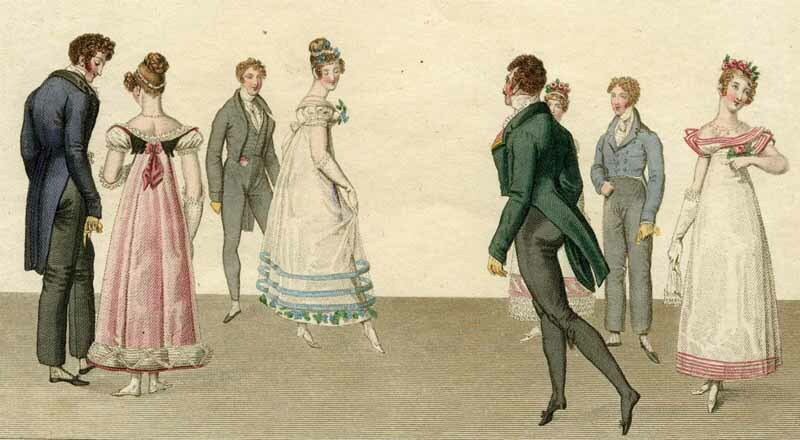 The objective of http://RegencyDances.org is to create an international shared website resource independent of any specific dance group for (a) sharing genuine Regency dances of known provenance, (b) sharing news of upcoming Regency balls, and (c) sharing information about other Regency groups. 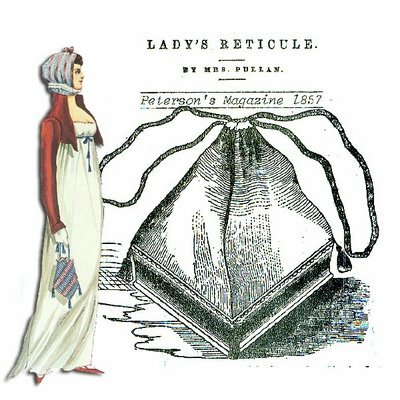 The site includes a history of the dances, the various dance steps presented in animations, lists of dances and music sources, plans on how to organize a Regency party, a listing of various societies and upcoming events, and a very informative section on “What to Wear” which includes the details of the era fashions and how to locate or make your very own costume. 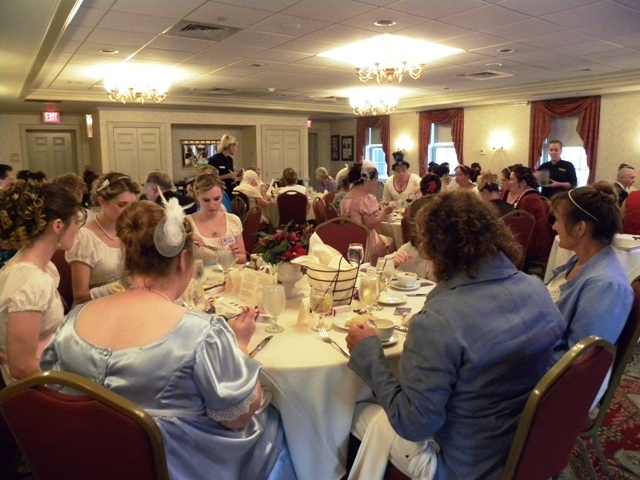 If you are a member of a Regency dance group, certainly add your name and events to their growing list. 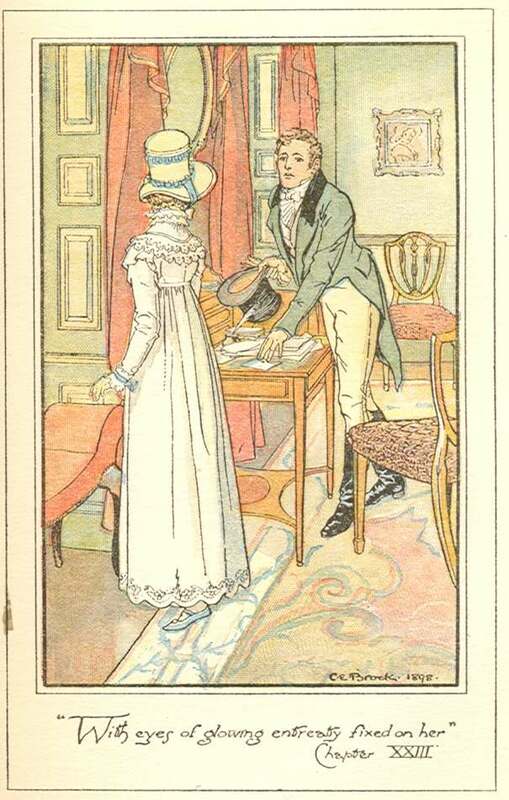 Copyright @2011 by Deb Barnum of Jane Austen in Vermont. Dancers demonstrate – Audiences participate!